This Spring we were privileged to be a part of Nadia and Salil’s small, very relaxed and touching civil wedding ceremony, right by the sea at Cadboro Bay in Victoria. Here are a few wedding photographs after their seaside wedding ceremony. Nadia and Salil will have their full and vibrant wedding celebration in India this summer. Over the years we have seen some pretty amazing wedding dresses in Canada and the UK, but here is a dress design with something a little different. We recently came across a very unusual competition; to make a wedding dress out of toilet paper!!! Anyhow, without giving too much away, check out the article here. We are excited to let you know that we have updated our wedding gallery and given our website a quick ‘once over’. Bit of a spring cleaning really and what a difference it makes! Not only are the new wedding photographs bigger, they look as though they will pop off the screen (which we love!). We have posted many new images, but kept some of what we hear are your previous faves as well. your pictures tell the real story. Exceptional photography. We are Back in Vancouver!! Well, simply said, we are back. It’s been a wonderful journey and a great experience to have lived and photographed weddings in Manchester, England for 2.5 years and then traveled home the ‘long way around’. We are now happy to be back and settled in the lovely city of Vancouver and are ready for an exciting and fun wedding season this year. For those of you who do not know us, we are a dynamic, fun, and funky, yet elegant husband + wife photography team. We photograph the moments of your wedding day in a photojournalistic style, just capturing the day as it is happening. 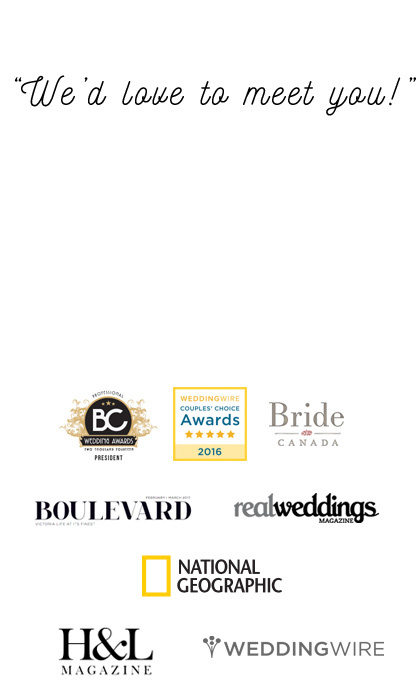 Stay tuned to our blog for more updates on what’s happening at hyperfocus and wedding tips for brides + grooms to help you plan your big day!